Nothing. The aparment was for 2 peples, we have paid for 5 persons, and they gave us an aparment only for 2 persons, 3 of us couln't sleep, there was no free space. Great location and plenty of space for our group of seven. The balcony was a nice addition and we enjoyed a sundowner outside on one evening. The apartment was clean, tidy, in a nice location and had enough space for 5 guests. Good supermarkets, cute shops and cafes nearby. The bathroom was really nice with heated floors. The bedroom was fairly spacious. Clean room and comfortable locatoon to access the area. 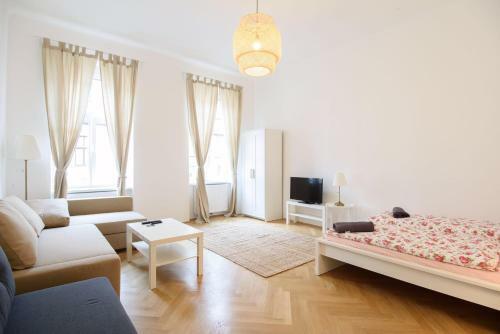 Quiet location, close to Vienna center. Only 5 minutes walk to Rochusgasse station. The apartment is clean and full of light. The kitchen has all necessary things to cook simple breakfast or dinner. Very convenient spaces, close to the metro station and the river. Perfect location, clean place, spacious living room and bathroom. Kitchen with the dining table is little bit small for 5 -member family, but it doesn´t matter. Ideal for smaller families. The only disadvantage seems to be the parking place and key delivery. Hope the light on the dark corridor is fixed already. Otherwise you will spend 15 minutes on searching for the keys, just like me. 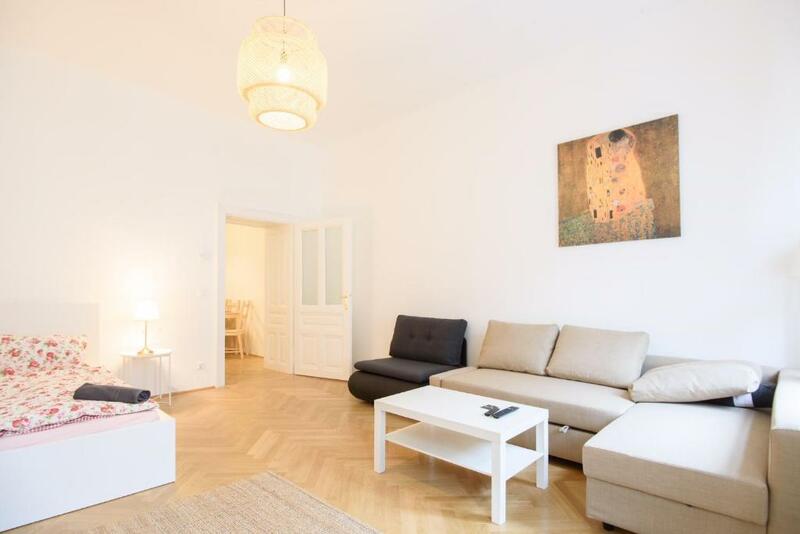 Lock in a great price for Vienna Living Apartments - Parkgasse – rated 8.2 by recent guests! One of our best sellers in Vienna! 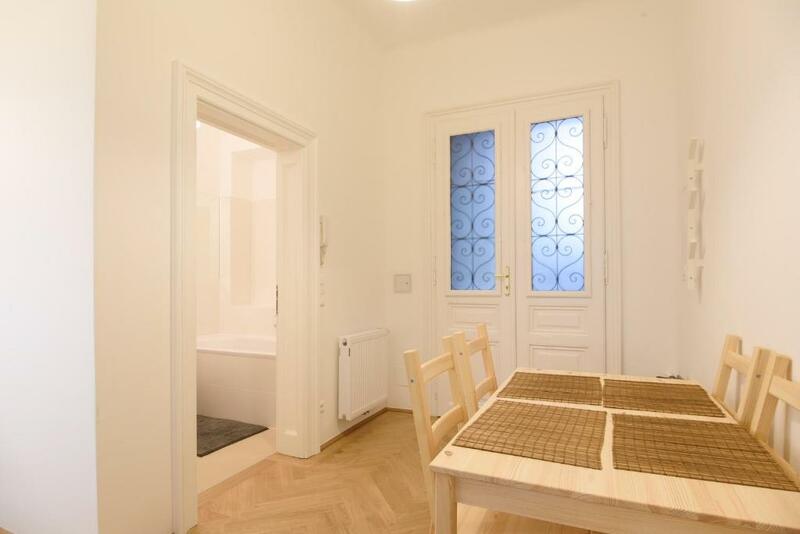 Located within a 15-minute walk of Kunst Haus Wien - Museum Hundertwasser in Vienna, Vienna Living Apartments - Parkgasse has accommodations with a kitchen. Complimentary WiFi is available. 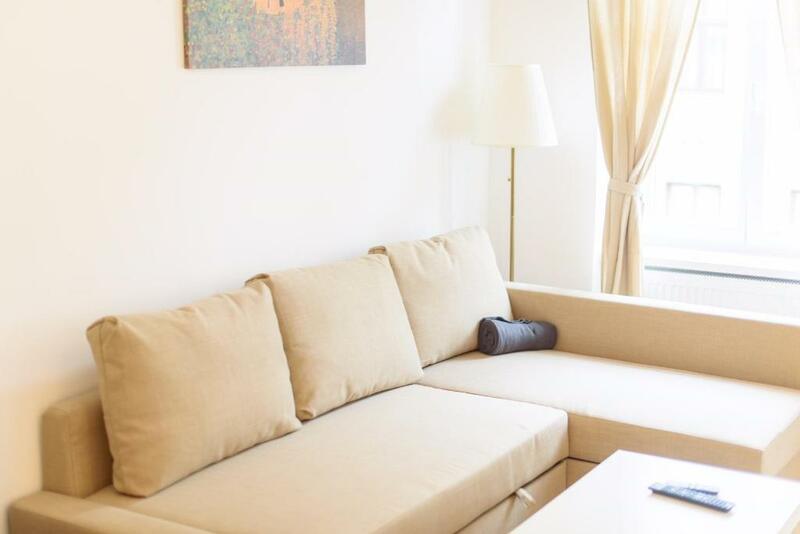 The apartment offers a seating area with a flat-screen TV and a private bathroom with free toiletries, a hair dryer and shower. A dishwasher, an oven and toaster are also offered, as well as a coffee machine and an electric tea pot. Vienna Living Apartments - Parkgasse has a terrace. Vienna Prater Amusement Park is 1.3 miles from Vienna Living Apartments - Parkgasse, while Karlskirche is 1.6 miles from the property. The nearest airport is Schwechat Airport, 10 miles from the property. 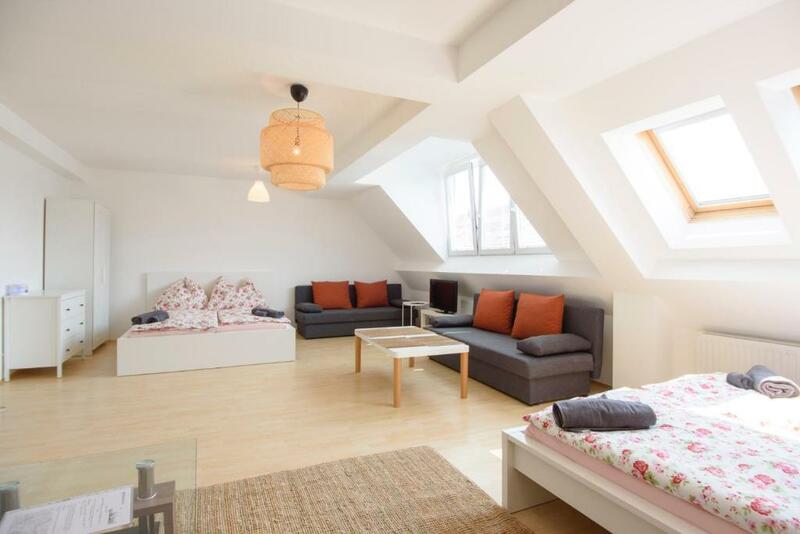 When would you like to stay at Vienna Living Apartments - Parkgasse? 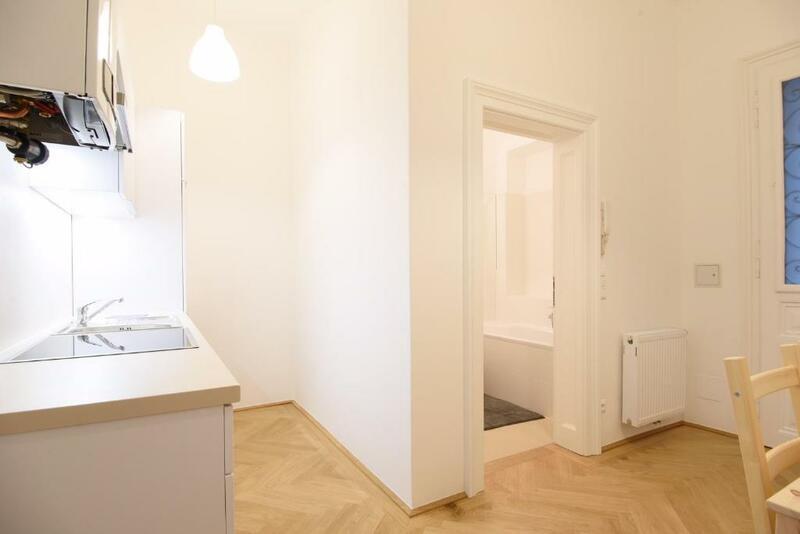 House Rules Vienna Living Apartments - Parkgasse takes special requests – add in the next step! I asked pre-arrival if there was a washing machine and was told yes but upon getting to the apartment is was behind a locked door. I called and the cleaner opened the locked room the next day. I also asked for the as advertised iron and ironing board but it was never supplied. Also only 1 wine glass and no tea towels were provided. As these were listed in the provided items this should be corrected for future guests. It would also be nice to have known that the cleaning ladies would be doing washing and drying in our apartment during our stay as if I had known I would probably have booked elsewhere. 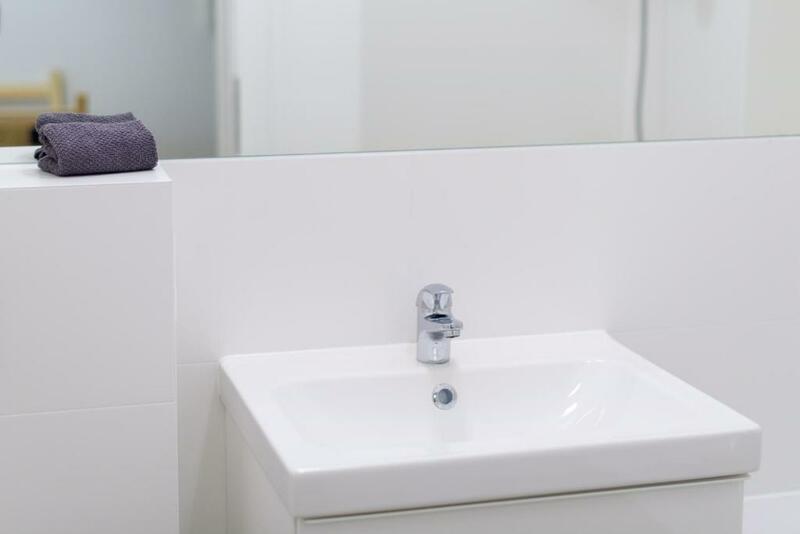 In a hotel you expect to have cleaners in your room but not in your self-contained apartment unless prearranged. Very nice and clean apartment. Close to the center and easy accessible. We didn't always have warm water. We couldn't figure out how to operate the boiler and we didn't have instructions on that. So we sometimes had to shower with freexing water. Lift was not working during our stay. The luggage storage process - was told we could store our luggage, ended up waiting on the stairs of the apartment building for 3 hours with the owners providing little help, rubbish bags were limited, no dishwasher powder, the location was a bit far away from the centre. The kitchen is close to the entrance, and the floor was bumpy and noisy, when someone walked the stairs. No washing machine, but it was in the list of facilities. It would be nice to have a simple plastic cup (or something like this) for toothbrashes in the bathroom. The front door didn't closed tightly, so you can hear everything that is happenning behind it. There is a heating problem, you are not allowed to smoke in the room or in the building, there was only one room and for 4 people that is uncomfortable, not enough space in the kitchen not even for 2 peple, the building is under construction so a lot of workers and noise. I’m not coming back here ever again. Not very clean, inconvenient the lift.